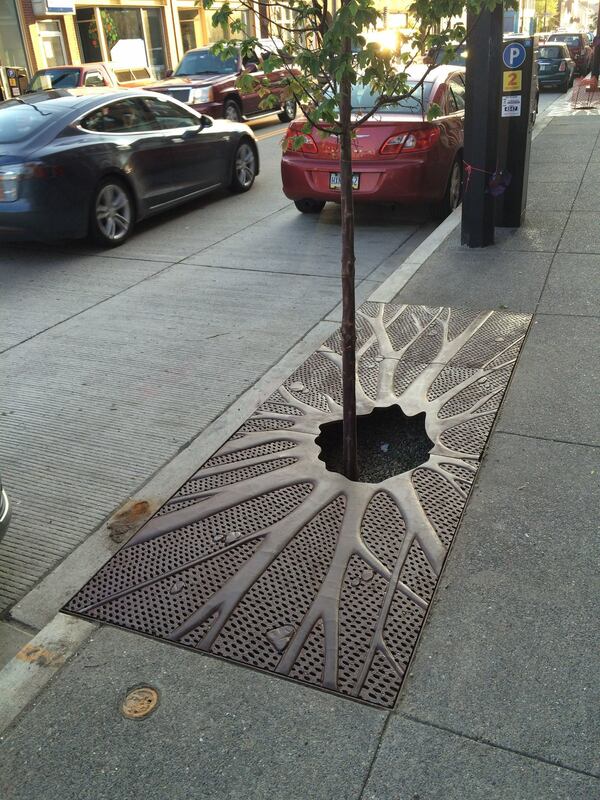 Garfield's Roots is a work of public art comprised of 41 tree grates along Penn Avenue in the newly revitalized Garfield neighborhood of Pittsburgh. I was approached to consider doing this work because I appreciate working in unusual or interstitial parts of architecture. The Garfield neighborhood in Pittsburgh was in need of street renewal, yet had mature and beloved trees outside some of the storefronts on this main street. When those old trees were removed and replaced during the renewal, I decided to pay homage to them, and also to the deep history of the neighborhood itself with Garfield's Roots. In this work, the old provides context for the new.